PDATE: The new location has announced a tentative opening date – click here for details. A popular entertainment franchise will soon be opening in White Marsh. 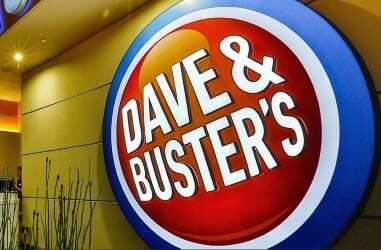 Dave & Buster’s has revealed that it will soon be opening a location at White Marsh Mall. The arcade and sports bar will open in the former Sports Authority location that shut its doors last year after filing for bankruptcy. Dave & Buster’s currently has other Maryland locations in Arundel Mills (Hanover), Ritchie Station (Capitol Heights), and Ellsworth Place (Silver Spring). Construction is slated to begin on the White Marsh Mall location later this month. It is expected to open in December, according to the Baltimore Sun.